Hi. I am offering a great Swedish touch to medium pressure massage to men in the comfort of my home. Fresh sheets,soft music, candles, and Biotone lotion/oil await you when you arrive on my heated table (optional). Free parking is available as well. I pride myself having a non judgemental atmosphere and II am a pro Gay and LGBT guy. I want all my clients to be relaxed and stress free when they leave. I offer a shower...More before my massages for those coming from work as well as a shower afterwards. Good hygiene is very important to me. I have a very flexible schedule as well. I am sometimes available on short notice. Sa: 11 a.m. - 4 p.m.
After an unintended lapse of 2 years, I found Tim again. Trust me when I say it won't be 2 years before I go back. If you want a sincere, methodical massage, he's the one to do it. Very reasonable, accommodating, nice space with a heated table and a shower to rinse off. Don't miss out! I scheduled an appointment with Tim several weeks ago and had to cancel at the last minute. I was terribly sorry but that didn't make it any less rude of me. I wasn't sure how he would react when I contacted him again for another appointment. He agreed to see me and, when I arrived, he invited me into his comfortable home. 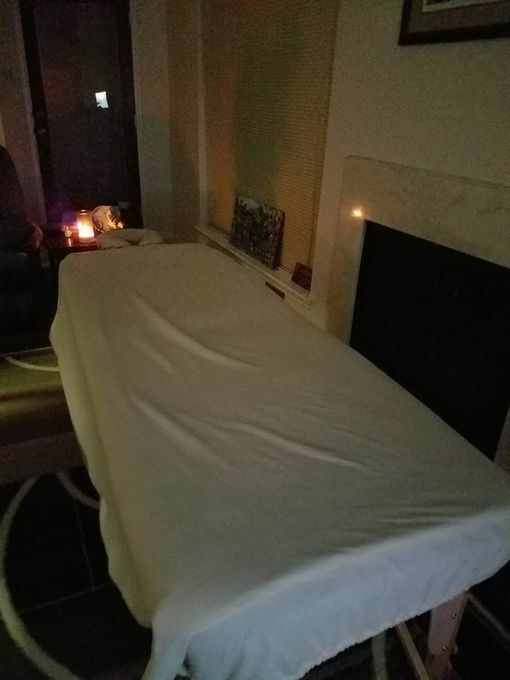 He left me to prepare for the massage and I was delighted to find that he has a heated table! For the next hour I was treated to an amazing Swedish massage. Tim was responsive to my needs and gave extra attention to areas where I had particular problems. Soft, relaxing music played in the background and, with the warmth of the table and his firm touch, I relaxed more than I had in a very long time. As my session came to a close, I was taken to a roomy shower that overlooks an outdoor courtyard so I didn't have to drive home with massage oil covering me. Tim is a great guy … easy to talk to and he is very friendly. He offers a great massage in an inviting and relaxing atmosphere. He is very responsive to individual needs and I am looking forward to my next session! Excellent Excellent massage. Very good at what he does. Relaxing and accommodating. Great hands. Would go back in a New York minute. I travel to Houston often and always get a massage. The session with Tim was the best I have had here and will definetly be a repeat customer. Friendly, great hands and an overall awesome session. My regular massuse I have gone to in the past has moved. I had never tried a massage from a male so I gave Tim a call. It was different, but good. Had a very enjoyable massage and look forward to another in the near future. Tim met me at the door and was a gracious host.. His heated table was wonderful. It was one of the fastest hours I have encountered with a massage. I will definitely book another appointment with him very soon. Great massage , will be back!